TOGETHER WE CAN BE A STRONG SERVICE NETWORK! 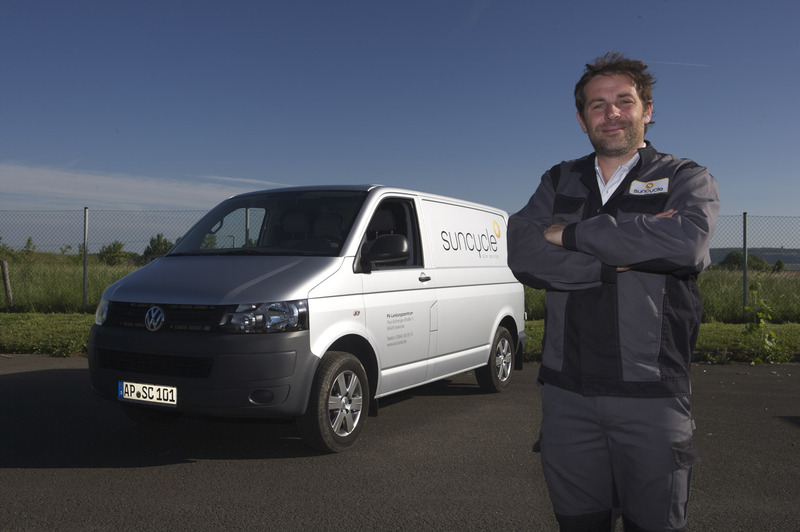 The Suncycle service partners programme is aimed at solar specialists in Europe. By participating, companies are qualified as an authorised Suncycle service partner and are integrated in the Europe-wide service network. The preferential use of our laboratories, certified processes and access to Suncycle expertise are just some measurable benefits for participants in the Suncycle partner programme along with the concrete involvement in Suncycle orders. Become a Suncycle service partner!